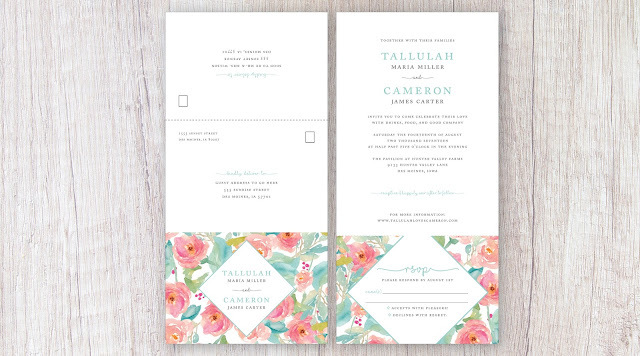 My new favorite wedding invitation suite added to the shop. You can call me floral obsessed. Introducing the beautifully designed Tallulah suite. 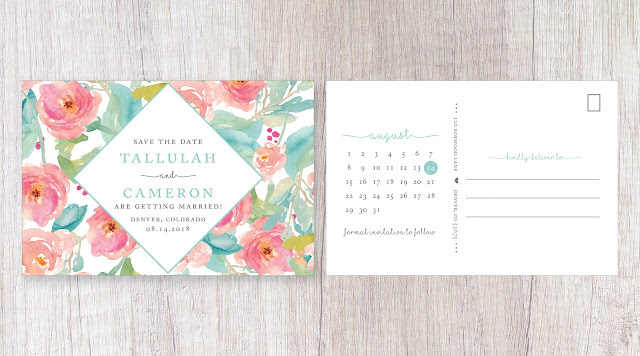 Tallulah Save the Date Postcard – sized to 6"x4" with beautiful flower details and calendar on backside. 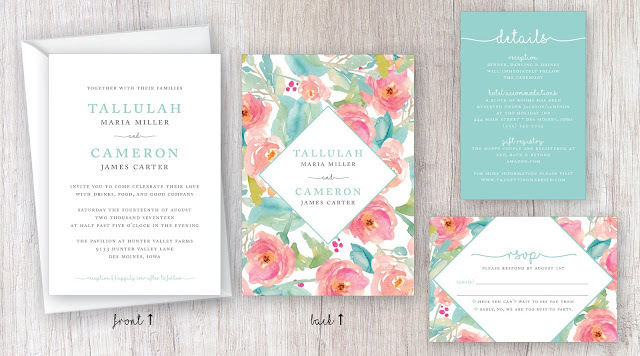 Talulah Wedding Invitation Suite – includes a 5"x7" invitation with beautiful floral design on the backside, 4"x6" details card and RSVP postcard. 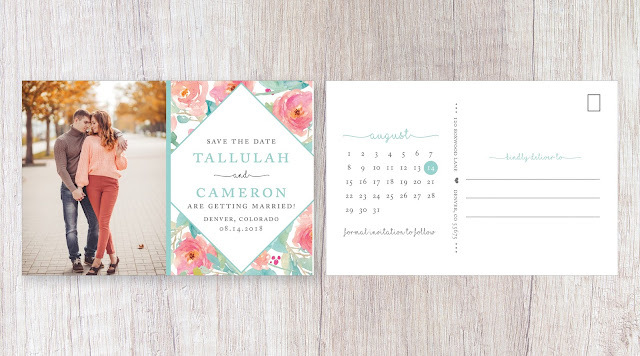 Tallulah Seal and Send Invitation – these are an all in one invitation that you fold and seal with 2 stickers for easy mailing to your guests. Guests will simply tear off the RSVP postcard & drop back in the mail to you. This invitation suite includes everything from table numbers to large format welcome signs and programs. 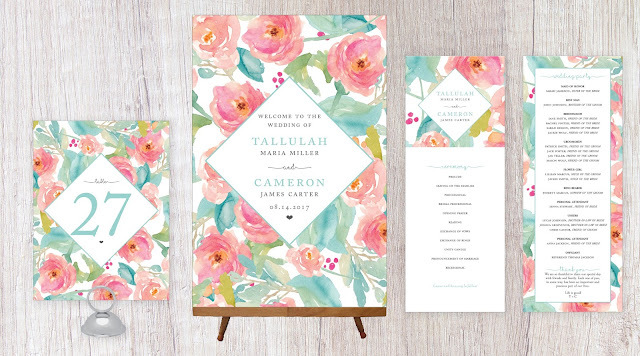 See the entire Tallulah invitation suite here.